When most people think about home security, they tend to assume it will be expensive, highly complicated and require a squad of experts to install all the large, heavy and costly equipment. That may have been the case once, but things have definitely changed. Today’s wireless home security camera systems are small and unobtrusive. They are quite affordable too and very easy to set up. This review is for “indoor cameras” only. If you want to read about “outdoor cameras” then click here. A Wi-Fi HD security camera system is easier than ever to use. With a modern iPhone or Android smartphone, you can stream live footage from inside your home from say, your local restaurant, work, or even from another country on the other side of the planet! Monitoring what’s happening inside your home, through a good home security camera system is ridiculously easy, and you won’t find yourself staring at a fuzzy pixelated picture either. 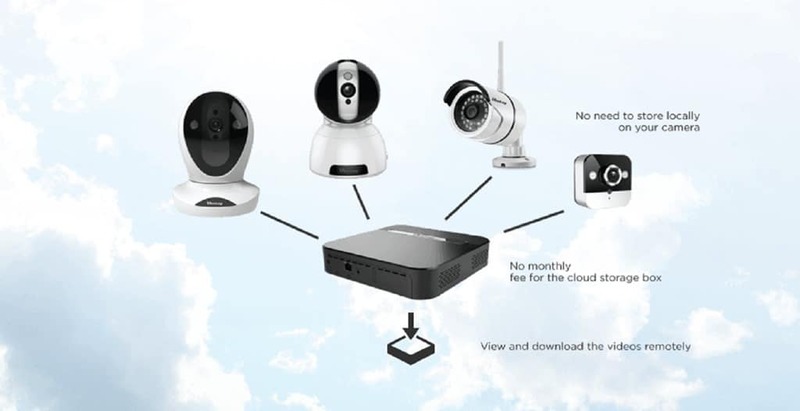 An HD Wi-Fi home security system will let you view video footage in high quality 1080p, or 720p. There are a number of excellent home surveillance cameras available in today’s market. It’s best to choose a security system with a good field of view and a good night vision range. They can be table top, ceiling or wall mountable, easy to set up, and they will work tirelessly for you day and night. The indoor security camera system that we recommend is the Amcrest IP2M-841 ProHD 1080P (1920TVL) Wi-Fi IP. Our review below set out in fine detail our reasons for thinking this is the best remote mobile viewing indoor home security monitoring system, available at a reasonable and affordable price. However, it’s not the only quality home security system on the market. We have also reviewed two other systems, discovered after careful research, that we think will be almost as good as the Amcrest IP2M-841. 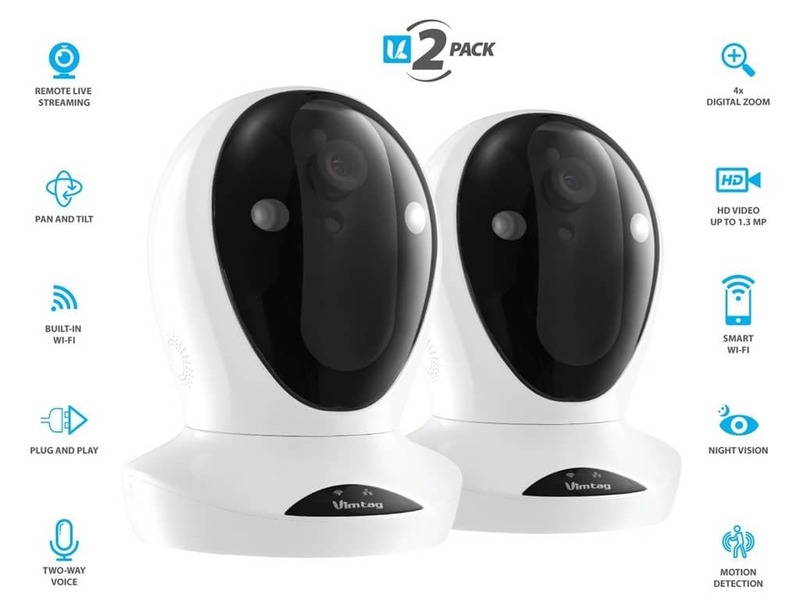 The two reviews of these other wireless security cameras are not quite as long as the main one, but they are comprehensive enough for a good basic overview to allow you to make the right decision. While they are more expensive than the Amcrest IP2M-841, the Nest Cam and the Vimtag® P1 do have other features which the Amcrest doesn’t have. NOTE: You may use the Table of Contents below to go straight to any particular topic of the review. What should you look for in an indoor security camera? What Makes The Amcrest IP2M-841 ProHD Such a Robust Yet Simple System to Use? What’s it like to use the Amcrest IP2M-841 ProHD? Where can you buy the Amcrest IP2M-841 ProHD 1080P (1920TVL) Wi-Fi IP Security Camera? A very high quality image, preferable up to 1080p that will allow the authorities to clearly see the face of any intruder for possible identification later. 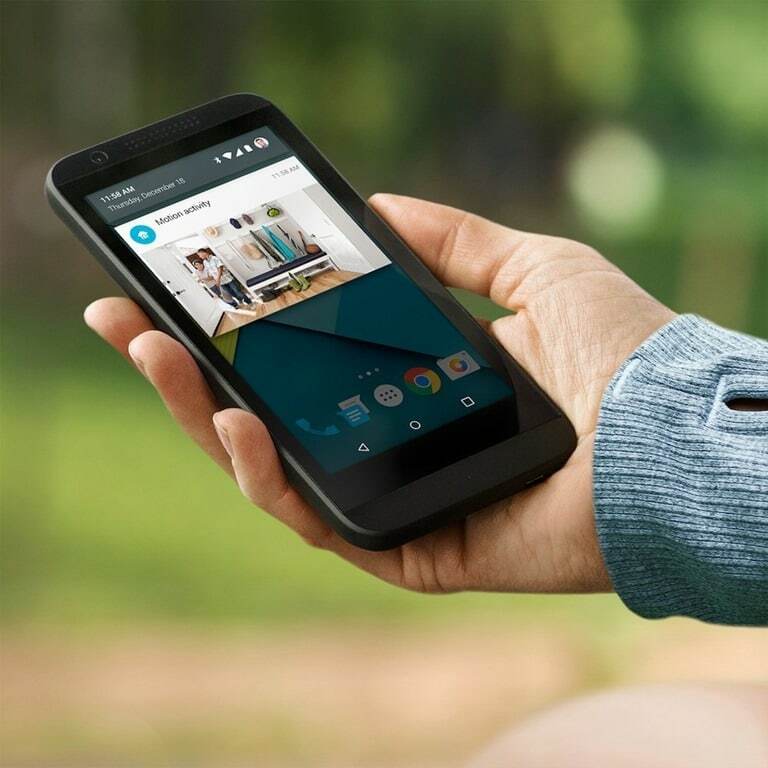 Record and playback via a microSD card, or even a cloud video recording service. A Wi-Fi setup through an app that allows live streaming of two-way video and audio to an iPhone or Android smartphone, tablet, Mac or PC. A wide field of view and a good night vision range via infrared. The ability to pan, tilt and zoom remotely. You won’t need a degree in IT and networking to set up and use the Amcrest IP2M-841 home security camera system. You can place the system on a table top or shelf. Alternatively, you can secure it to a wall or ceiling. You can set it up using your mobile device and Wi-Fi, and be up and running in no time flat. The system will stream live video to your smartphone, tablet, Mac or PC from anywhere in the world. It has a two-way communication talk system to allow you to speak to anyone at home while you are away somewhere else – even an intruder! However, it could be more useful for checking with a babysitter if all is well, for example. The resolution of the surveillance camera is a full 1920 x 1080p at 30 frames per second, so no fuzzy indistinct images to peer at. It also has infrared LED night vision that allows you to see clearly up to 32 feet away, and in total darkness too. The viewing angle is a wide and generous 90 degrees field of view. Intelligent motion alerts is a built in system that will send you an immediate alert if motion is detected at a time when there should be nothing moving around. The alerts can be either through SMS or email. You will then be able to check every corner of the area using the remote pan and tilt function. There is also digital zoom to allow you to get in close if you need to. You have a number of storage options for the video to allow you to check back on anything that might have happened overnight. Recording to a microSD card will probably be most people’s choice or use the Amcrest cloud storage option. However, you can also use an FTP server and NAS with your own computer, or any Amcrest NVR. TOP TIP: If you don’t know what FTP, NAS and NVR mean the stick with the inbuilt SD-card or the Amcrest cloud storage option because they are very simple to set up and don’t require any additional hardware. Is the Amcrest IP2M-841 the best indoor security camera? I think it is. There are one or two niggling points to consider, and I’ll mention those later, but all in all, this is a system that is hard to fault. There are many similar home surveillance cameras available, and some that are much more sophisticated and expensive, but as an all-in-one home security device, this one is as good as you need, and at a price that won’t break the bank. It is a very well-built, quality materials and the packaging is good so it protects the camera when being sent by courier. A resolution of 1920 x 1080p at 30 frames per second is HD by anyone’s definition, but being able to maintain a bright, crisp and clear image at this high resolution in what we all would consider total darkness is really something else. And if there’s any light available, the image is even better. Streaming live video at this high resolution remotely via Wi-Fi to your smartphone is another huge plus. You could be on a night out with your friends when you get an SMS alert. A quick tap on the Amcrest View App and you would be looking at exactly why you were alerted, then it’s either head for home and deal with the situation, or call the police. Another huge plus is the ability to move the smart home security system camera left or right, up or down, and you can also zoom in close on an intruder’s face to take a quick snapshot to help the police in their inquiries, if you choose. However, perhaps the biggest benefit you will get with the Amcrest IP2M-841 is peace of mind, knowing your family and your home is fully protected. Installing your Amcrest IP2M-841 is easy, but if you feel unsure, or get stuck, tech support for this home security system is friendly, efficient and everything you would want it to be. However, installing the system yourself simply involves first installing the Amcrest View app on your smartphone, attaching power to the Amcrest camera, allowing it to boot up, which takes a few seconds; the orange light at the back changes from orange to red, then the unit will do a few pans and tilts, scanning the room as part of its warm up procedure. Next, you need to activate the free app and locate the menu. Click on the Device Manager link, tap the plus (+) icon, add the camera to your home Wi-Fi, choosing a unique name, then put it the serial number, which you can do by scanning a QR code on the base of the camera. Click the Next button and you will be asked to put in your Wi-Fi username and password. When you again click the Next button, the system will attempt to connect, and if all is well, a connection will be established in about 10 to 20 seconds. When the device connects, you will see a tick mark in the center of a circle on the screen telling you all is well. For security reason you will be asked to create a new password and confirm it the first time you set up your home security device. Once you have done that, you will see a screen that sees what the camera sees. Your home security monitoring system is now streaming live video. All you have to do now is mount the camera in the best position for your indoor home security. The camera is ceiling or wall mountable, or you can just place it on any surface, so you have a lot of choice as to where it should go. You will also need to set up the motion detection. The Quick Start guide will take you through the steps. Basically, it involves logging into your camera, clicking on Setup, then click on the Event link, then choose Video Detection. Make sure the Enable box is ticked under Motion Detect, then configure the Detection Area by clicking Setup. You can then choose the detection area from a grid that covers the viewable area. You can also set the sensitivity of detection from this screen, and even set up several different detection areas, each with its own level of sensitivity. The Amcrest IP2M-841 is so easy to use, it almost does it all by itself. The manual and the Quick Start guide explain everything you need to know in clear detail to avoid any unnecessary confusion and difficulty. 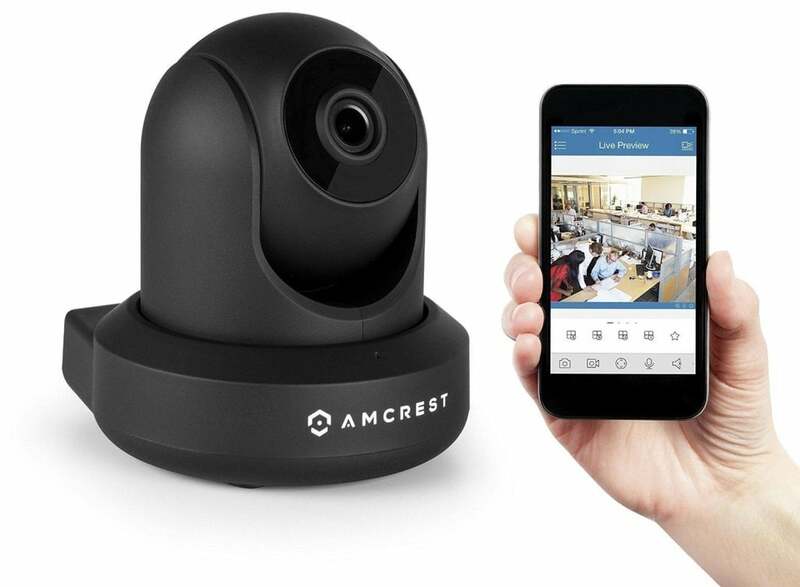 If you intend to use this excellent indoor security camera with your iPhone or Android smartphone, then the Amcrest View Lite app makes it near impossible to get wrong. The built-in microphone on the camera makes it possible, when you are away, for two-way communication between you and someone at home. This system is only suitable for indoor use. You can set things up so that when motion is detected by the camera sensor, the system will send an alert to your smartphone, tablet Mac or PC. The level and area of sensitivity of the motion detection is adjustable to suit your needs. People like sophisticated and complex things to be easy to use, and that’s what you have here. I especially like the remote viewing capability that allows you to monitor your home via your smartphone wherever you are. For security purposes, this feature is hard to beat, and so intuitive and easy to use. The Amcrest IP2M-841 need very little maintenance in order to function reliably and properly. It would be a good idea to spend a few minutes once a week to test that all functions are working properly, if only for your own peace of mind. Some of the things you can check include, making sure the power cable is properly secured, checking for, and removing if necessary, dust inside the camera, checking that the equipment is not running too hot or too cold, and checking that the SD card is not damaged. In general, just check over everything to make sure it does what it is supposed to do and that nothing has changed. Remember to clean the camera lens, using a soft, approved cleaning cloth, regularly. Once a week would be a good schedule. Full HD 1080p resolution video at 30 fps, so you can see everything crisp and clear. Record and playback via a microSD card or through the Amcrest Cloud Video Recording Service, and other options. This allows you to check back and review events. Live video streaming that is viewable via the Amcrest View Lite app on a smartphone, so you can check in at any time to make sure everything is okay at home. A field of view of 90 degrees – this gives you a large peripheral view of any room. Remote pan, tilt and zoom – this provides you with more control and enables you to monitor activities in more detail. Infrared Night Vision of up to 32 feet – so intruders can’t hide in the dark. To read about more features follow this link Amcrest IP2M-841 ProHD. You can find out what other people are saying by browsing through some of the online stores that allow real customers to leave a review. These reviews can be extremely helpful when it comes to finding the best indoor security camera for you. If you find a lot of people leaving rave reviews for a certain product, you can be reasonably sure that it’s good, and of course, the reverse is also true. “A little tricky to setup.” I guess it can be for some people, if you can setup a smartphone then you shouldn’t have any problem with this camera. “… A battle to get this camera to do what it’s supposed to.” Like I said before, if you can setup a TV or Smartphone, then this camera won’t be a problem. “Keeps dropping the signal.” This probably down to the camera being in a WiFi dead zone. If it’s a faulty product, then Amcrest will replace it. “Waste of money, app is useless.” I can’t agree with this comment. I think it is a very good. It is important to remember an app is a cut-down version of the software on your PC or Mac. The Amcrest IP2M-841 is about as good as you will find at a real affordable price. Setting up this home security camera system is easy and quick and anyone can do it. The motion detection and night vision system is stunningly good; you really have to see it in action to believe it. If you need a sensible, good smart home security system for you house, this is the one to look for. A number of well-respected online stores sell the Amcrest IP2M-841 ProHD 1080P (1920TVL) Wi-Fi IP Security Camera, but though most of them are excellent for online shopping, we found Amazon to be the best of all. Their super-saver free shipping offer is hard to beat for a start, and if anything goes wrong (though it rarely does), their support is second to none. Amazon have a long online history, starting out in the summer of 1996, so they are no fly-by-night outfit. Their reputation for trust, quality and reliability is unequalled, so shop with them with full confidence. They are also likely to offer you the best deal on the Amcrest IP2M-841 system and you can check them out by clicking here. 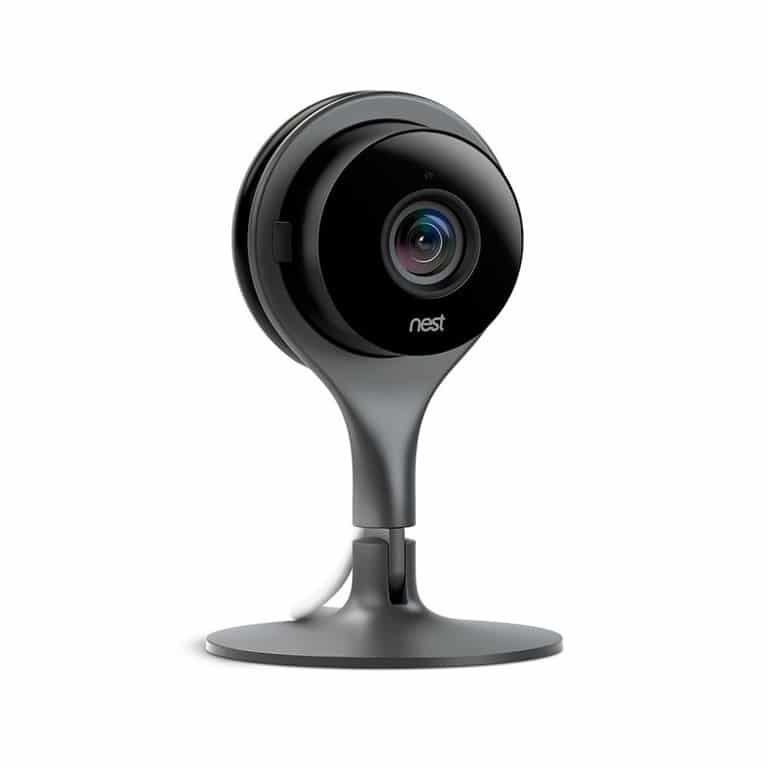 The Nest Cam indoor security camera is more expensive than the Amcrest IP2M-841 for a start. In fact, it costs 50% more, so you should take that into consideration if cost is an issue. That said, the Nest Cam performs great and does everything you need for indoor home security. 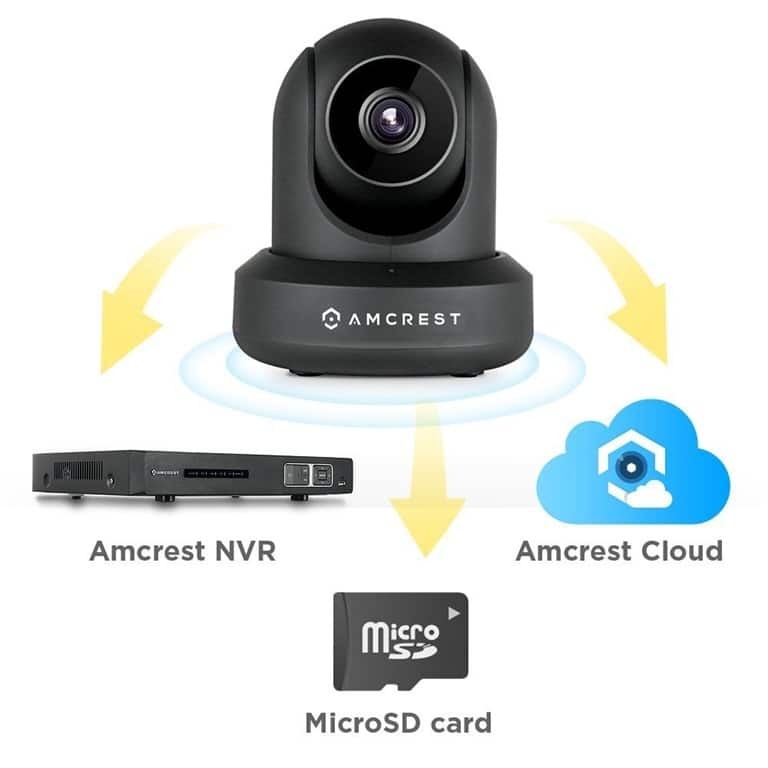 This camera has a 130 degree wide angle view, which is better that the Amcrest’s 90 degree , and it offers you the same excellent 1080p high resolution picture quality. The Nest Cam can also stream video, and it has night vision with motion sensors that can detect movement. It will send you alerts too if anything happens. Nest live streaming 24/7 so you can check in at any time. Same as Amcrest. 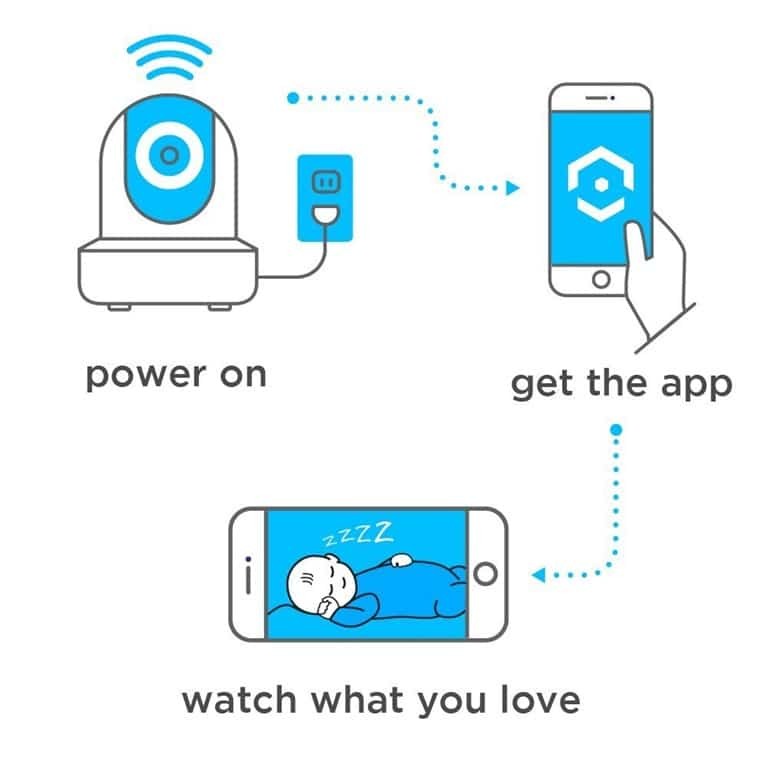 Continuous recording 24/7 with a Nest Aware subscription. Beware this is very expensive. You have to use the “Nest Aware” service, and it costs $100 to $300 per annum, per camera!!! This is the main reason why I recommend Amcrest, you are not forced into this option. Text, email and App alerts with a Nest Aware subscription to let you know when an intruder is active. With the Amcrest, you get email and App alerts. If you get App alerts, why would you want a text? Two-way audio allowing you to hear what is happening – and to let an intruder know you can see them. Same as the Amcrest. An 8x digital zoom coupled to a 1080p high-resolution video image. The digital zoom is a lot better than Amcrest’s 3x but it’s not a deciding factor for me because the digital zoom on the Amcrest camera is more than adequate. The camera is available from a wide variety of online stores, but we found Amazon to be the best place to buy the Nest Cam. They are trusted and well known, and they always get your purchase to you on time. The Vimtag® P1 is also more expensive than the Amcrest IP2M-841; it costs about the same as the Nest Cam model. Its features are very similar too, and it’s a good choice if you’re looking for a smart home security camera you can rely on. The single outstanding feature of this camera is the option to buy a “cloud storage box”. If you buy this you don’t pay any cloud storage fees. I have given more detail about it at the end the feature comparison list below. 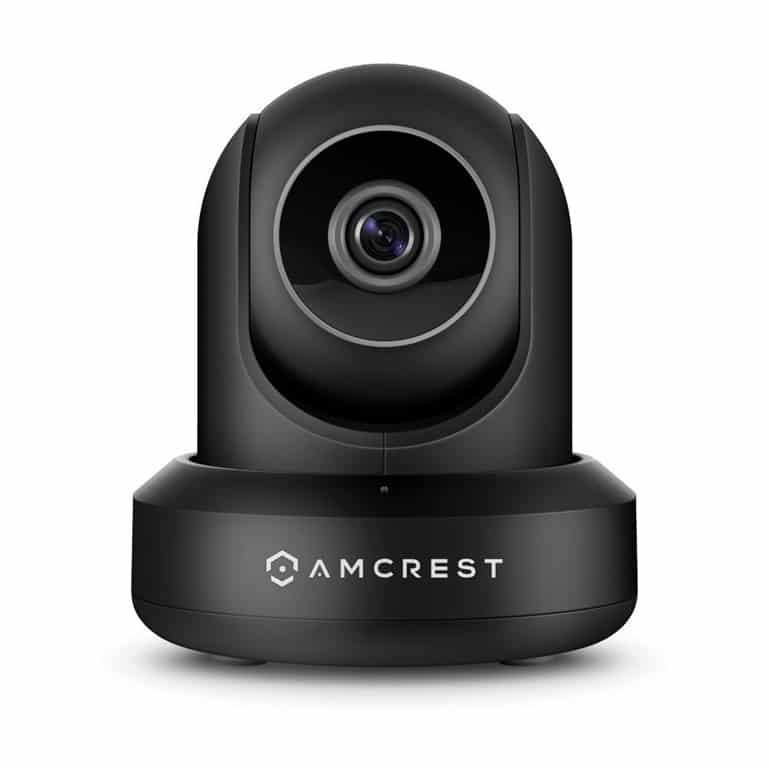 While this camera system offers excellent high quality HD images of 1280 x 960p resolution, it isn’t quite up to the higher standard of the Amcrest IP2M-841 or the Nest Cam. However, the video images are far from fuzzy or difficult to make out; they are extremely good, sharp and clear. A quick and very easy 3 minute Plug and Play Setup. This probably slightly quicker than the Amcrest but we are splitting hairs now. A very reliable Wi-Fi connection. This is a very good feature and maybe worth paying the extra. However if you have a reliable home WiFi, like I have, then it is not an issue for me. Remote video streaming 24/7 via a smartphone, tablet, Mac of PC. Yes same as Amcrest. Two-way audio through a built-in mic. Yes same as Amcrest. Remote pan and tilt and zoom controls. Yes same as Amcrest. Clear and sharp night vision capability. This is probably better than Amcrest, but the difference is slight. Built-in SD Card for video storage. Yes same as Amcrest. Vimtag Cloud Storage Box. This is unique to Vimtag and the one reason why I would buy this unit. It is a hard drive which connects to your camera via WiFi so you can store video recordings and access them on your smart phone. You can hide the box from burglars so if they make off with your camera, you still have the recordings. The key benefit is you don’t pay cloud storage fees. To read more about it click here. This unit can be bought from many different stores online, but the place we like best for purchasing the Vimtag® P1 is Amazon. People know and trust Amazon. Their customer support is amazing, and you can always expect delivery of the product to be on time.